download the game without problems through a code provided by the software house; start it; I create my PC with a tattoo of the famous throat area Phava of Fraws exhibited at the MOMA; spawno in the world; I, with a miserable RTX 2080, I was quite sure to hold everything so imposed, even before starting the game, everything at the maximum settings. Once I appeared in the gaming world, after about a couple of minutes of loading and with the idea that everything was stuck, obviously it starts to lick and shoot in an ignoble way and, without understanding how, I die. Before respawning down all the settings and the resolution, respawno but this time in the sky, I fall towards the ground and die; repel again, they attack me with snakes, I die; once again, underwater, in the middle of the ocean, I prefer to commit suicide to set a new point of rebirth. From here there are about forty minutes of change of spawn points and consequent deaths by drowning, falls from the sky, bugs that make me reborn in an ethereal paradise where I see only white and clouds, until, finally, I appear in a city. In the middle of the mountains and the snow, I'm dying of cold. Even though the first day was rather traumatic, I must not demoralize myself. Before starting the game, I understand that I need help. 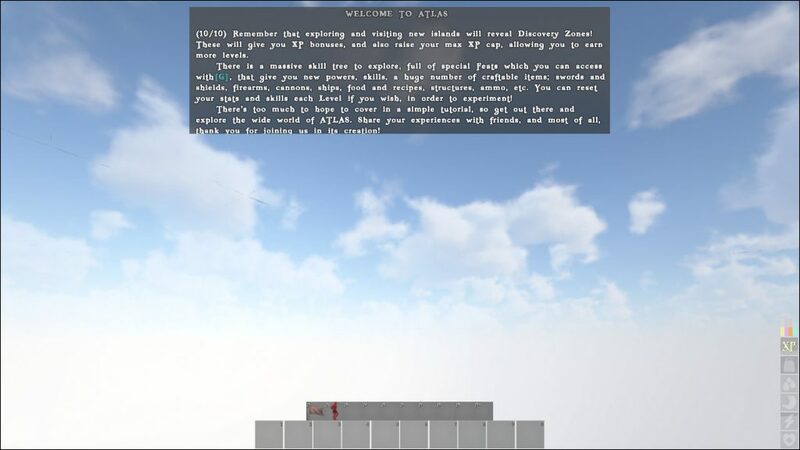 I write a post in the subreddit dedicated to Atlas asking for help on how to get started. So I understand that the best thing to do is to start from a Freeports, ie an area in which there is already a port and NPCs and where you can start to recover the first materials. The amount of materials required for creating objects is quite expensive, but it is also easy to find. The farming system is rather basic: while walking around you can hold E in order to collect fibers and pebbles, then just punch a tree for a minute in order to create the first pick, and from there it's all in descent (approximately). After a few minutes you can create ax, campfire, spear, bed and box in which to put materials. 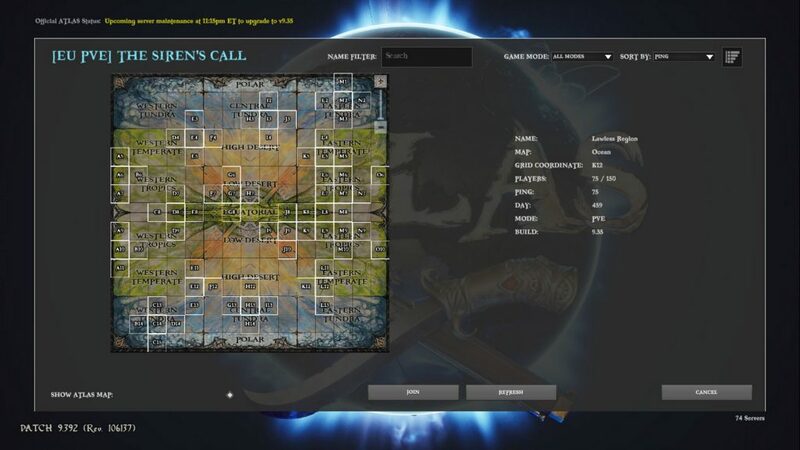 Each action increases the experience bar and, consequently, does increase in level allowing us to increase one of our statistics (life, transportable weight, stamina and so on) and also learn a range of skills related to the attack, the domestication of animals or navigation. Furthermore, it is possible to learn how to create new objects through a tree system that is ill-conceived and difficult to interpret. Perfect, my survivor set is ready. I advise you to create the bed first, in order to have a fixed respawn point. Inside the Freeports there is also an NPC from which you can buy a raft or a small boat. Better to prepare, kill some animals to collect some meat for the journey that awaits me, buy the boat, place the bed, do another couple of trips to the Freeports (divided into north, south, east and west) and turn off . Tomorrow my odyssey will begin, I'm confident! 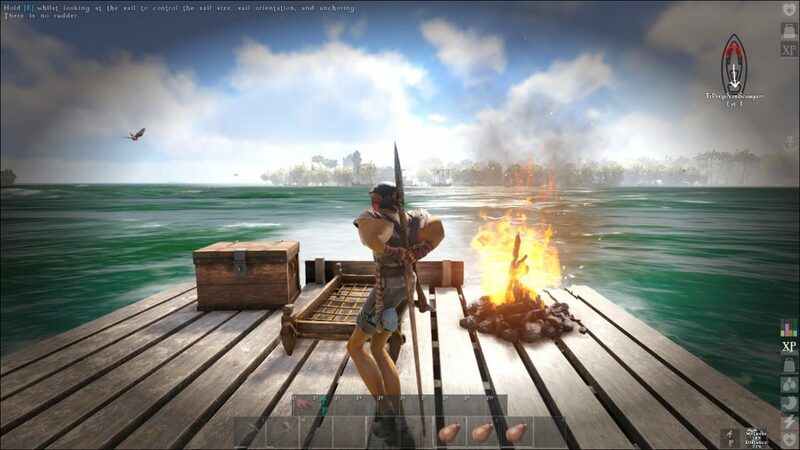 The boat disappeared, along with all the objects I had farmed, the box full of materials and the campfire full of succulent cooked steaks and charcoal. And even my levels have disappeared. It's as if my PC had reset itself. And no, I checked and the server had not been written back a few hours or I was attacked, I'm a PvE server. I still have the chance to add all the levels I've done so far but I've lost everything. Disregarded I ask in a chat where it could be my boat and ask me if I have traveled from one cluster to another or in any case made fast movements in certain directions. I answer yes, they tell me it's a bug, it happens, I have to start farming again. I switch off. Here is the division of the game world. A mega map divided into clusters, each as if it were a separate server. No, today I do not play. Better roll up your sleeves. I repeat everything I did during the 2 day. We will, level up, learn to build objects, buy my first raft and go. This time everything works and I finally find myself surfing. The navigation system is not really well done but at least it is understandable. Before getting to the helm you have to open the sails and, using a practical diagram always shown at the top right, try to follow the wind in order to go faster. The "problem" is that, if you are at the helm, to lower the sails you will have to "get out" of the guide, click on the sails and modify the opening. There is to be a habit but at least it works, even if not too well, better not to notice. And so I sail. East direction, towards another cluster. And that's it, nothing else happens for another twenty minutes. Navigo. From time to time a dolphin sprouts, jumping on the water, following the raft and the scene was also interesting in its own way: the dolphin did not buggy. The map is definitely bigger than I imagined and the navigation times between the different areas are incredibly long. Finally, after a couple of YouTube videos of waiting, I arrive. From a distance I see land, approaching I also see many ships, not rafts, but just huge galleons with a lot of people. Finally a bit of life! Landing, a crocodile chases me, I die. Respawno on the boat, firmly anchored on the shore, appears a crocodile close, I die. For today I would say that it is enough. I understand that the game has problems that I do not want to overcome, at least not alone. Everywhere, both on Reddit and on the official forum, they recommend playing it in company, which makes it easier to deal with. 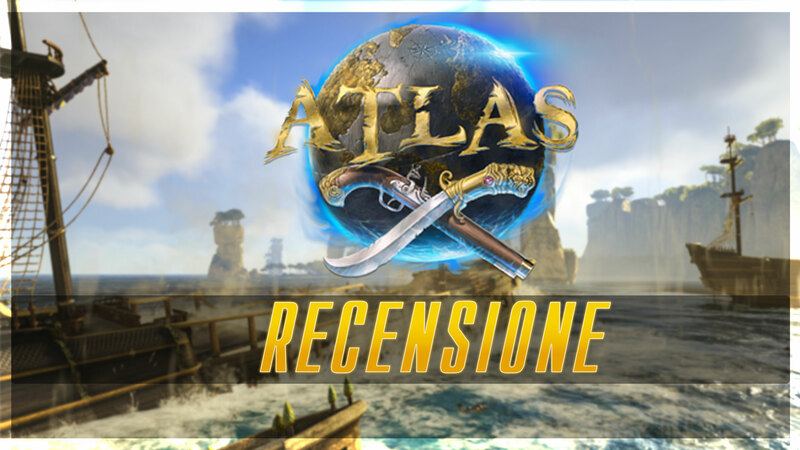 Life for a solitary pirate is impossible in the world of Atlas, at least for now. I close it, hoping one day to reopen it and find it changed but for now it does not deserve my time. I have also tried an unofficial server with experience and loot multiplied by 8 but, simply, you get first to encounter some bugs or die at the hands of strange monsters. 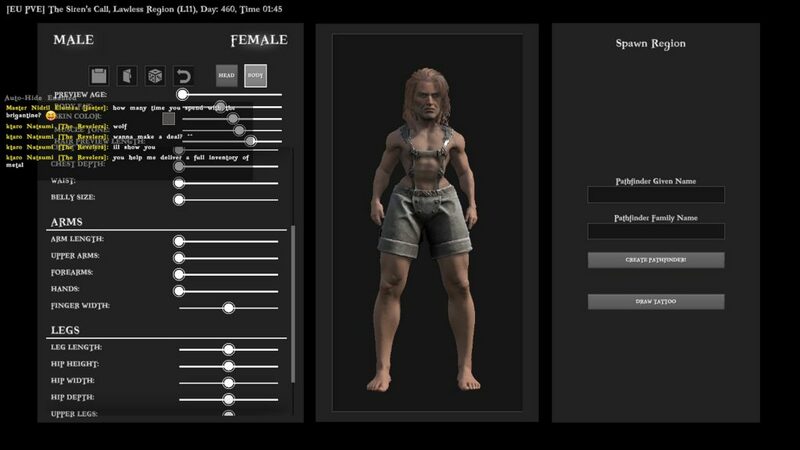 It seems that the developers have forgotten all the good things they learned from Ark's development. I just have to wait and hope. Previous articleThe Kingdom Hearts Orchestra arrives in Italy!